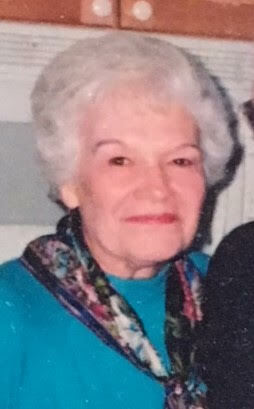 Marie A. Sussenguth, beloved wife, mother, grandmother and great-grandmother, age 85, of Needham, passed away peacefully on October 12, 2018. Marie was born to the late Henry and Bertha (Eckhart) Seidel on August 13, 1933 in Holyoke. She was raised on a farm and always loved animals. Marie graduated from Holyoke High School and Fisher College. In addition to raising five children, Marie worked for many years as a switchboard operator at Glover Hospital, in administration for Sony and DCA, and ended her career back at Glover in the X-Ray department. She loved to cook and garden, but most of all loved spending time with her family. She was predeceased by her husband Paul, who she was married to for 61 years. She is survived by her children Paul Sussenguth of Needham; Nancy Anderson and husband Brian of Carlisle; Peter Sussenguth and wife Julie Schatz of San Jose, CA; Diane Dalrymple and John Sullivan of Charlotte, NC; and Linda Spooner and husband Dana of Marlboro. She is also survived by her dear grandchildren Jaclyn and husband Craig, Kimi and husband Mike, Pami, Anna, Jim, Kyle, Julia, Luke and Amanda, along with 3 great-grandchildren, Chris, Harper and Lucas. Marie also leaves her brother Henry Seidel and sister-in-law Dorothy; her sister-in-law Marilyn Sussenguth, and many nieces and nephews. A Funeral Service was held October 20th. Eaton Funeral Home in Needham, MA handled arrangements. Donations can be made in Marie’s name to the MSPCA (mspca.org) or Farm Aid (farmaid.org/tribute). We love you Mom/Nana.